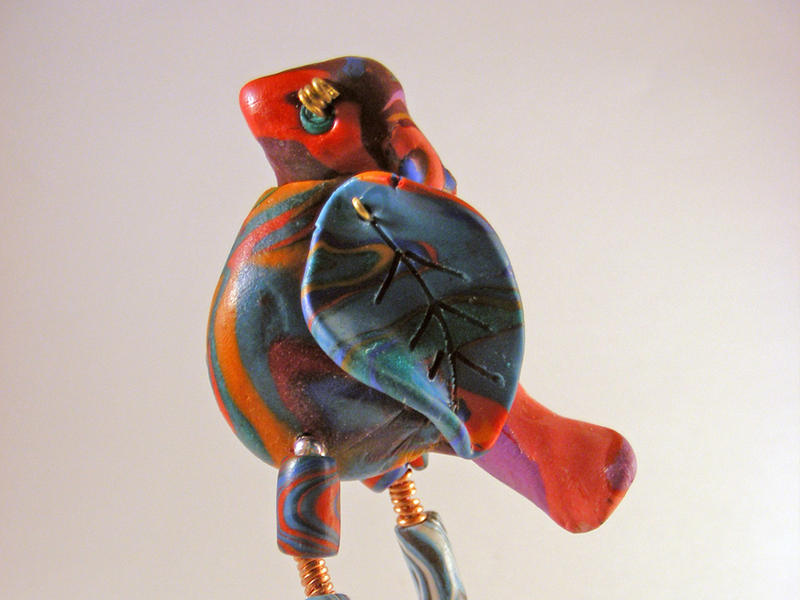 Miss Myrtle is a lovely polymer clay and wire bird, standing approximately four inches tall. 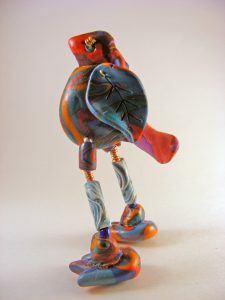 She is multicolored and has movable wings, yet is for display purposes only. Hand sculpted clay body, wings, bird feet and leg beads make her a rare bird indeed.